The NFL and NFL Players Association returned to court on Thursday for an appeal hearing over Deflategate. New England Patriots quarterback Tom Brady was originally suspended by the league for the first four games of the 2015 regular season for his alleged part in the scandal. Judge Richard M. Berman subsequently vacated the ruling due to legal deficiencies such as inadequate notice to Brady, denial of the opportunity for Brady to examine a lead investigator, and denial of equal access to investigative files. Thursday's hearing saw a players' union lawyer Jeffrey Kessler on the receiving end of some tough questions at the 2nd US Circuit Court of Appeals in Manhattan. Circuit Judge Denny Chin said evidence of ball tampering was "compelling, if not overwhelming," and there was evidence to support a finding that Brady "knew about it, consented to it, encouraged it." The court did not give an immediate ruling, but appeared to favor the NFL's case that it was fair for Commissioner Roger Goodell to ban Brady. The league had concluded that deflated balls were used when the Patriots defeated the Indianapolis Colts at the 2015 AFC championship game before they went on to win the Super Bowl. 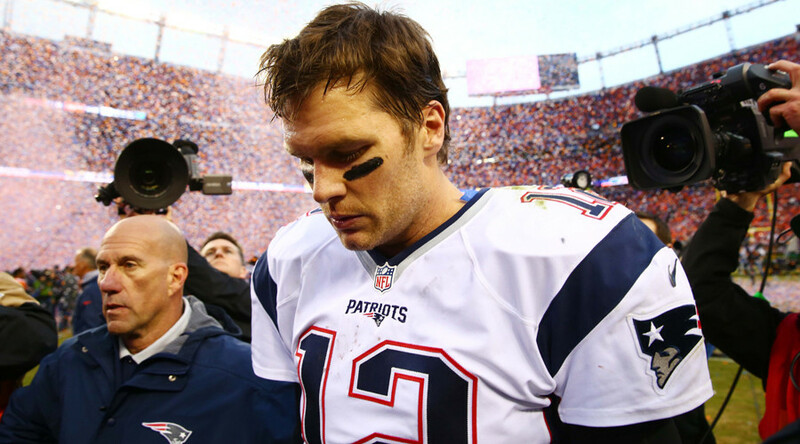 Brady was accused of hindering the league's investigation by destroying a cellphone containing nearly 10,000 messages and generally not cooperating. Judge Barrington D. Parker said the cellphone destruction changed the matter "from air in a football to compromising the integrity of a proceeding that the commissioner had convened." "An adjudicator looking at these facts, it seems to me, might conclude that the cellphone had incriminating information on it and that, in the teeth of an investigation, it was deliberately destroyed," Parker said. "So why couldn't the commissioner suspend Mr. Brady for that conduct alone? With all due respect, Mr. Brady's explanation of that made no sense whatsoever." The NFL didn't emerge unscathed from the questioning, with Parker describing Goodell as "the judge, the juror and, execution is not the right word, but the enforcer," of the league and saying his power made this case different from arbitration cases the court usually hears. The judges also questioned why deflating footballs would warrant a severe suspension, but they seemed swayed by Kessler's argument that Goodell had the authority to punish Brady for behaving in a way that damaged the game. Neither Goodell nor Brady was in court Thursday, with a decision expected to take weeks or months. If the NFL loses again, it could file another appeal which would be heard by the US Supreme Court, although it appears from this latest hearing that Brady's case may be floundering.